Up to this day, hunting is still being done whether for food or a past time activity. In some countries, hunting is considered illegal, but if done for survival purposes, people cannot avoid it. It is also the oldest form of getting food because during the earlier times, when technology wasn’t all that great, men needed to survive and they had no choice but to kill the animals around them that could become food. Nowadays, there are also events that focus mainly on hunting and the time it is held depend solely on when the animals come out. One good example is deer hunting, they don’t get hunted all year long; there is a specific season wherein people set out to hunt them down. If it weren’t for their intelligence and ability to produce hunting tools out of rocks, wood, and animals, people will never learn how to effectively kill animals for food. These people had minds that were built for survival which is why they were very keen on producing their own food. Let’s take a deeper look on hunting and how it really evolved since the earlier times. You will read about the brief history of hunting, skills, gear, proper clothes, contests, and everything else you need to know about hunting. Now to talk about the history of hunting; it is being done for a very long time and even animals hunt other animals. The first ones to involve themselves were of course humans because they needed to survive. The oldest form of hunting, which only involved a stick as a weapon, was persistent hunting. This is done by chasing the animal until it reaches its limit and then it becomes too tired to run so it decides to stop and you can just stab it using a stick. When the time came when people who originated from Africa arrived in several places, they learned more about hunting and applied the skills to succeed against other types of animals. They places where they hunt would depend on the conditions of the environment. Even if they found their own ways, the basics of hunting did not really change since the Stone Age up to the Middle Age. They also hunted fish using spear which they made out of sharpened wood. During that those times, they did two kinds of hunting. The first and oldest kind was hunting in order to survive so they killed for food. They did not really think about hunting for sport because food was such a necessity that they utilized everything they got. Since they had the skills to hunt down animals, they killed as much as animals as they could. The way they caught birds was to apply sticky lime on the branches of bushes and then put seeds and other stuff that birds like to eat as bait. As soon as the birds land on the branch, they get stuck and the hunters threw nets over them. They used traps and snares to catch rabbits and squirrels. The other type of hunting was doing it for sport because it gave people a lot of thrill about the dangerous pursuit. This came about during the Early Bronze Age and the ones who got involved in it were people who wanted to show their status in society. They used horses which came from the Mediterranean so they rode the horse with a bow on their hands. They also used spears and nets depending on the size of the game they were hunting. They also used trained dogs (specifically hounds) to chase down their prey. Some hunters have the habit of taking the head of the animal and hang it on their wall or take the fur and turn it into a carpet. It gave them a sense of being awarded when they see something that reminds them of the animal they killed. In West Asia they it became a tradition for kings to hunt down a lion. In the Western part of Europe kings would “own” a certain part of the forest to turn it into their private hunting ground. Most people hunt for food or sport, but the animals that are found in North America for hunting are categorized into 3: big game, small game, and the ones that prey on other animals called the predators. Animals with fur and certain types of birds are also being hunted down in this part of America. To name a few animals: elk, deer, pheasants, and moose for large game hunters. They involve the use of shotguns, bow and arrow, and crossbows for hunting. What Are Big Game Animals? This means that it involves hunting down large animals. These are mule deer, caribou, white-tailed deer, elk, and moose which are the most commonly seen. They also hunt down the wild boar, javelinas, and sheep with big horns. Before near extinction, the buffaloes and bison were included in their big game hunting list in the 1800s up to early 1900s. Since then, it has become illegal to hunt them. Normally, when people aren’t hunting for large animals, they go for rabbits, hares, squirrels, opossums, and raccoons. The type of birds they hunt are quails, duck, geese, turkey, grouses, and pheasants. These are the foxes, minks, bobcats, beavers, and muskrats because after taking the meat, they would skin the animal and take the fur whether for clothing or they make it into a rug. Bears can be found in the North American wilderness so they are one of the victims of hunting. the cougars, coyotes, and mountain lions are also chased and killed by very skilled hunters because these are the ones that can turn vicious and have the capability to turn against people. These animals are considered pests because they can damage to crops and livestock if they are in big numbers. In order to keep their population at par, they are hunted down. These are the groundhogs, raccoons, foxes, rabbits, and squirrels. Another term for them is varmints which refers to the category they are under. Most of the places in North America, hunters are supposed to get a license agreeing under a jurisdiction pertaining to the type of animal they are going to hunt. They will also be asked for the number animals they are aiming for. In order to monitor this, they obligate the hunters to buy a tag for each animal that they killed in order to put things at a limit. If in case the ratio of hunters to the number of animals in specific area is greater than the number of animals, they would have to hold a lottery to award the tags to winners. It is the duty of the wildlife agencies per region to give the limit. Here you will find quite a number of white-tailed deer because over the years, their population has increased in this area. Even if you will have a better chance of finding other types of game in other areas, you will easily find a white-tailed deer prancing about in this location. This is another gold mine for hunting big game, but if you are in it for the trophy, you better look elsewhere. Even if some states rank higher in terms of spots for other types of game, Illinois is a great place if you are seeking for a buck. If you want a black bear, there is a success rate of 90% in this part of America and chances of finding bears is at 95%. You will also find here Glacier National Park and Flathead lake where bears are also, but they are not hunting grounds. This place is considered to be one of the most extreme part in the state of Idaho. The Hell’s canyon is located at the west part, south has the Salmon River mountains and some parts of the Frank Church River of No Return to Wilderness. While the north east has Selway-Bitterroot Wilderness. It can be hard to get to this area during winter and you would need to use a snowmobile to conquer open areas and limited roads. Since it is very remote, you will find here cougars to hunt. This is a place where you will find ducks, geese, and other types of waterfowl that are found in Far North. Public hunting can easily be done here and Ducks Unlimited and their partners are responsible for maintaining this area. Private land owned by farmers can also be a place for hunting in this area as long as they ask permission. Bighorn sheep are found in this area which is really something to be noticed because they are very rare in other parts of America and expensive to hunt. During the year 2014, bighorn sheep were detected in Oregon to improve genes of the herd. Bear hunting in Florida has only one more step to take before it becomes official because Judge George S. Reynolds III has opened his ears to meeting with some environmental groups to talk to him about allowing hunting down 320 bears across Florida starting October 24. Florida fish and Wildlife Conservation Commission got a majority of votes to allow bear hunting even if they are not sure about the specific number of bears that could be found for hunting in Florida. Moose hunting in Maine will always remain to be one of the reasons to boost its popularity because people travel from great distances just for that. Maine Department of Fisheries and Wildlife had a meeting about Moose hunting in Maine. They talked about Moose being caught for food, state of the herd, and the curiosity of people to take photos of Moose that have been killed so they end up acquiring tags. They surmised that people are amazed by the size of the Moose found here and those who are in it for the excitement of hunting for the first time. It becomes a family thing that everyone comes to see how the hunting goes in the Maine woods. The bow hunter is a place where you will find essays that were personally written by hunters about their adventures. One father wrote about the art of hunting turkey with his son. There is another contribution saying that if you want to convince non-hunters to get started, you must show them fresh game. If you hunted caribou, you cannot do that because their raw meat will only make you sick. Normally the target audiences for this are people who are over 50 years old because non-hunters will just a turn a deaf ear at this. Of course, if you are going to hunt, you cannot wear regular clothes because you will easily be seen by the animal and they are not appropriate for hunting because you would need to stay feeling comfortable. The outdoors is not a very friendly place and the proper gear and clothes are needed. The animals will be alarmed if they see you and your chances of catching them will be very slim. Wearing this is ideal if you are into deer hunting, and going through the forest. It is made of 100% poly fleece, authentic camo, solid prints, and color blocks. The logo of the manufacturer is embroidered on it and there is a front pocket. It is machine washable and it is long sleeves. The pullover comes in camo print to deer won’t easily see you and you’ll be more successful in finding and killing them. This one is made of spandex blend and polyester making it stretchable so it is able to withstand high levels of activity. It comes with an antibacterial feature so you will stay fresh all throughout the hunt. It has been perfectly tailored to have a perfect form on your legs. This one also has UV protection for days when you are spending a lot of time under the rays of the sun. Since it has antibacterial treatment, you will feel fresh for long periods of time and the backside is very soft. It is machine washable and the waistband is elastic. It provides great protection for your head and neck and you can wear it in different positions. The weight of the fleece is 300 g and it is very soft for maximum comfort. You won’t be bothered even if you wear it the whole day because it feels great on the body and it keeps you warm. The gloves are breathable, waterproof, and finished with armor shells. 6 oz. of insulation, ColdGear lining that’s infrared printed to trap in heat. The odor of bacteria will not grow on this one because it has scent control. You will have a better grip because there is silicone-plated synthetic leather on the palms. It is waterproof and the seams are sealed. There are rubber shells which have been vulcanized and handcrafted, and there are faux-fur snow cuffs. The boots are great for women who are into both fashion and function. It is a jacket that has Silver scent inhibitor against game odor, it is waterproof, windproof, and breathable. You can easily adjust the hood. You will stay warm and dry the whole time, and there are pockets for putting important stuff. The hood can be adjusted for a better fit. It is very durable, waterproof, breathable, and resistant against water and stain. The Scent-Lok technology takes in human odors so it keeps you smelling fresh. There are leg zippers to make room for the boots and the elastic waist that comes with belt loops give you a better fit. Pockets are found at the front so you can put stuff in there. These high ground boots have Gore-Tex linings with nubuck and 900-denier nylon uppers with 400 g of insulation. The Talon outsoles are very light and the boots are great for backcountry use which have Trailguard construction for a better performance. The gloves have Warm Thinsulation with Hipora inserts to make the gloves waterproof. The linings are made of fleece making it more comfortable and have the ability to absorb moisture. You can use the gloves even on touch screens and it has leather palms and pre-curved fingers. The gloves will give you a very solid grip letting you hold on to anything while hunting. Before setting out to catch your animal, of course you would need supplies, gadgets, hunting packs, and stuff that will make your trip to the hunting ground successful. When you embark on this kind of activity, it is not only your skills that matter, but also what you have that prepares you for hunting. Here is a list of what you must have with you so you will come home with the perfect catch. You will need 3 kinds of knives – Buck knife for gutting, Gerber knife for skinning, and a Wyoming knife because it tremendously helps with gutting and skinning the animal. Good spotting scopes and binoculars – Make sure that the optics you have are the best ones you can buy with your money because you will see better and a lot clearer with good quality optics. A sleeping bag to keep you warm – You are going to need this because there are times when you need to get a shut eye while waiting for an animal to show up. A comfortable sleeping bag will be a necessity. Rangefinders – This will help you in seeing easily where the animal is currently stationed. There is a big chance that you will either overestimate or underestimate the distance of an animal from you. You will end up missing the target and ruin your chance of catching it. Game cart – Sometimes you will not be able to take and ATV with you so carrying the animal on your back is your next option or you could use a game cart. There is such a thing as a hunting rope – The difference of this one is that it has locks instead of knots to make it secure. This rope will never jam so you will never have to cut it. Trail cameras – These are used by hunters who want to detect the movement of their target and sometimes they leave it for a while in a certain spot and set it up to take pictures of the animal they want to hunt. Once they have mastered the activity of their target, that’s the time they will set out to catch it. Don’t forget sunscreen – Even if you have the proper hunting wear on, you still need sunscreen on your face because being under the sun all day can damage your skin and your face is the one that is exposed to it. Keep yourself fueled and hydrated – Of course you will be spending a lot of time in the woods so you are going to need to bring food, water, portable gas stove, frying pan, plates, cups, and all-purpose knife. Your compass, head light, a map, rifle and sling. Do not forget extra ammunition, a personal locator, and a cleaning kit for your rifle. First aid kit, insect repellent, toiletries, and your tent. These are stuff you will need for yourself to keep yourself safe against diseases because the wilderness carries some of them. Bear spray- There are times when a bear unexpectedly shows up and you need to ward them off. A bear spray is the easiest defense you’ll be able to grab on to and it is good to have this with you. Aside from the head light, you also need a flashlight and lighter so you’ll be able to have fire at night. You can also use a lighter to cook food that you have brought or captured. If you are using a bow, don’t forget your extra arrows. For hunting moose or large game, the BRK Magnum Fox River with a drop-point blade that is made of A2 tool steel and full tang construction is what you need. It is stainless and made of high-carbon which has been hardened to 58-60 HRC which measures up to 6 ¼”. It is provided with different scale handles that you can choose from – canvas, Micarta, and Stag antler. The sheath is made of leather that’s been handcrafted. If you want a knife for hunting smaller game and a knife with a shorter blade, the M3 by Lion Steel is your best bet. It has a full tang construction and features a drop-point blade made of German Niolox stainless steel. This one has a powder metallurgy material which consists of Carbon, Chromium, Vanadium, and Molybdenum. The grain is more refined because there is Niobium added to it. The blade measures 4 1/8” and you can choose from Olive wood, Micarta, and Santos wood scales for the handle. Comes with leather sheath. TenPoint Venom Crossbow Package weighs only 6.5 lbs. it has an fps of 372 and 13.5” axle to axle cocking. This crossbow is very short with a length of 34.6”. You will already get the Tenpoint RangeMaster Pro scope and 6 packs of Pro Elite carbon fiber arrows. Barnett Jackal Package takes only 15 minutes to assemble. Its draw length is only 12” and has a draw weight of 150 lbs. Its fps is 315 which is enough to kill large game even if you are 50 yards away. Comes with quick arrow release and the drawback is very easy to control. This has a separated stock grip allowing you to grip the crossbow like a pistol so your hand is given more freedom to move. The product is very durable, looks great and not heavy. Those who are experts in hunting hogs know that they have a very strong sense of smell and articulation because they can’t see very well. You can use corn that’s placed in a timed feeder as bait for them. Bury rebar stakes a few inches into the ground at a certain angle surrounding each leg of a tripod feeder and to secure it, use rope or strong wire. In order to lure black bears, it has been tested that oats mixed with cooking oil is the most effective. A 50-gallon drum needs to be filled with this and then make a small hole at the base so that bears can smell it and if you are allowed to do so, add scraps of meat. You can also heat up strips of bacon to attract more bears. 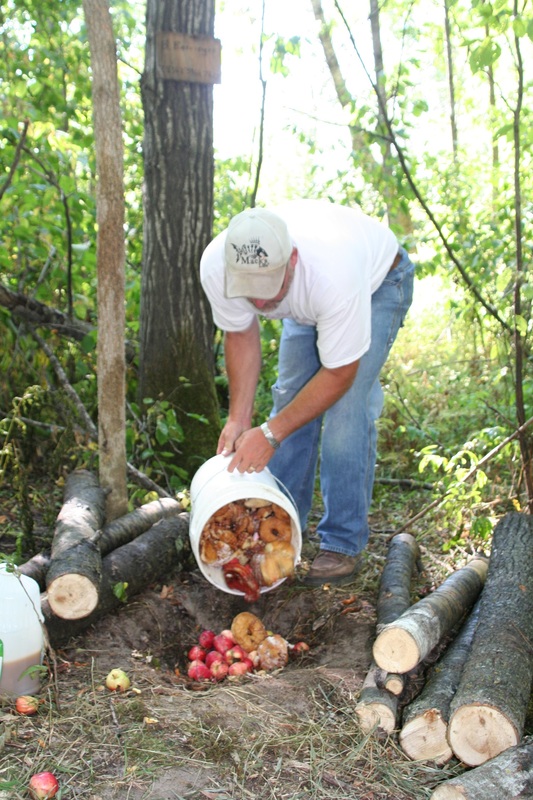 The best bait to use for deer is apples if you are hunting at the Northeast and acorns if you are at the South. Scattering the acorns on the ground will do the trick, but this costs a lot. You can opt for simple gravity feeders. Some hunters place PVC pipes under barrels of corn and then tie it to a tree. You need to leave enough space between the ground and the pipe so that corn kernels can come out. Take a closer look at your target which means that you need to know the animal’s every move, where it usually resides, the kind of food you can use as bait, and migration patterns. Setting up a hunting scope will help you detect the movement of the animal from yards away. Trail cameras are also used by hunters to take pictures of the animal. You can put several in one location to study the animal’s behavioral patterns. The direction of the wind should be observed because your scent must not be detected by the animal as much as possible. Do not stay where the direction of the wind is blowing. Do some scouting in a particular area twice before the season begins will help you trace the tracks of the animals and know which direction they are headed. You will also find other clues doing this. Study the phases of the moon because it affects the movement of animals. When there is a full moon, deer and elk go out to eat. If the moon is full during the day, they do the same thing so pay attention. Keep an extra firearm in case you run out of ammo. You should also be aware of your aiming skills and practice to perfection. You need to be quiet and allow yourself to listen in case any game is close by. You will be able to stalk the animal and you will be lead to it. Be patient and try staying long in a certain post to establish good vantage point which can even take you closer to the animal. Know how to make a tree stand so you can stand on it and be elevated. This offers a better view of the animal that you want to kill. This can be made by placing stands on top of tree stands. You can acquire the skill of calling animal to draw it closer to you. Calling means you are going to imitate the sound it makes and it will start to look for the sound. Set-up traps for the game, but make sure that you have a permit and it is allowed in the location. Make sure that you have all of the licenses needed and they are updated. You need to check on this beforehand to avoid being reprimanded and your hunting day ruined. Never go hunting without the proper gear and equipment. Animals can easily detect hunters who are not trying to disguise themselves or are not careful about getting exposed. Aside from being at the hunting site on the day itself, you should also know how to “hide” yourself while studying the animal before the season starts. 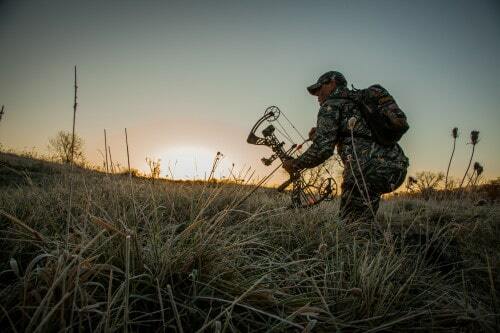 You are to start hunting 1 ½ hour before sunrise and pack up 1 ½ before sunset except for turkey season. 4 am to 10 pm for bear hound training. Foxes, opossums, raccoons, and bobcats are allowed to be hunted day or night during the season. You are allowed to hunt raccoons until 2 am if it’s a Sunday. You cannot hunt deer and bear using a gun with dogs on Sunday. You can use dogs in areas where it is allowed. Tracking dogs that are well-maintained can be used to look for a dead bear or deer during hunting as long as it is within 24 hours since the season ended as long as they are carrying permits and are not carrying any form or weapon. The use of dogs are prohibited to hunt species that have been tackled by archery except for bear hounds during apprenticeship programs. You are not allowed to chase animals using dogs in areas where baits are set-up. You are also not allowed to scatter bait or salt using dogs to hunt or if you are just training them. it will only be allowed 30 days after the bait has been removed from the site. It is also not allowed to cripple an animal on purpose to continue a hunt in order to train dogs. It is also illegal to make an animal get off a tree for the purpose of training dogs. The shotguns used must not have a size that’s more than 10 gauge. The barrels of shotguns have to be at least 18” long. Areas where slugs can be used allow shotguns with barrels. Game (except deer) and bird are allowed to be hunted while you are riding a boat. Pistols and revolvers can be used in countries that allow you to hunt deer and bear using either of them. It needs to be at least .23 caliber and has a minimum of 350 foot pounds of muzzle energy. Big game can be hunted with a caliber of at least .45 when muzzle loading of rifles can be done. 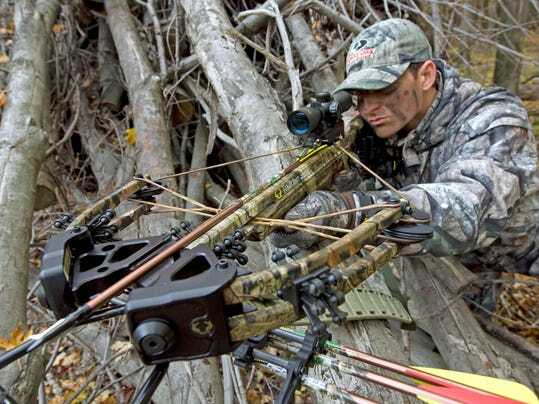 Crossbows can be used to hunt any size of game. It is help in North America and you can enter the contest with a video or photo entry. They are held in 48 states. They have state, national, and guide competitions which they hold separately. This contest is joined by fox hunters from all over America and Canada which runs for 1 week. They will also hunt for four area Fox Hunts and at the end of each day, the judge will say who will join the finals on Saturday. The finals are done before the first race starts. When Saturday comes, the spectators are given the chance to detect field hunters and hunter who are appropriately dressed. The participants are asked to join a mock hunting activity and then those who will join the finals will negotiate with a handy hunter course found at the race course’s center to compete for the title. The judges will require the riders to show the hunting skills of their horses before the deciding for the championship. This competition gives 4 days to the horse and rider to hunt for awards that are given throughout the week. This is a photo entry contest that accepts entrants from North America. What does hunt drawing refer to? This pertains to the number of hunters being larger than the number of permits they have. How will you be able to get a hunting permit? Check if they are conducting a hunt drawing because sometimes they only become available after a hunt drawing. When are you allowed to hunt? It depends on the kind of animal you want to hunt and the season. There are certain rules applied to where you can hunt, but before you go hunting and make your way to the field, check for guidelines. What are the best knives for hunting? That depends on the type of game you are going to hunt and the size. There are knives for gutting, skinning, and cutting meat. You might need all three. Now that you have read everything you need to know about hunting, you now have a different perspective about it. The thrill of hunting and catching the biggest game you can find is what gives people a sense of satisfaction and enjoyment. ​Months of observing a specific target and hard work usually pay of as long as you follow the proper rules, and you know how to go unnoticed. Hunting clothes, gear, and essentials are needed to help you in catching the game you’ve been eyeing for months. Make sure that you learn all of the rules, regulations, and acquire all of the permits and licenses needed for hunting. You will not be disappointed if you practice patience, determination, focus, and learn all of the skills. Remember that scopes are also important because it helps you detect a target from yards away. Just estimating from where you are standing or located is not enough and you wouldn’t want to end up injuring the animal without killing it because it will just suffer on its own. We should thank our ancestors because without them, we will not be very knowledgeable when it comes to hunting in the wilderness. The great minds of people have just innovated what they started because they have realized that mankind needs to have more gear and tools to make a hunt more successful. The knives, guns, and archery tackle that you will use should be appropriate for the type of game that you are targeting because it can be difficult to skin an animal using a knife that is intended for gutting. Understand these differences so that you will not end up cutting yourself if you have great difficulty getting the meat from the animal that you killed. Hunting is not for everyone, but if you open your mind, you can learn how to track and kill the best game.